If you’re throwing a vintage party and ready to hire a 1920s jazz band, you need to introduce some elements which will make your party extra authentic. Britain in the 1920s wasn’t roaring for everyone. People were still getting over the First World War and there was deflation and depression to deal with. Life for the wealthy was pretty good though, and the number of nightclubs and bars increased dramatically in busy cities around the country. People with money had many hedonistic ways to spend it. As we approach the next 20s, take your guests back in time with these authentic party features. The Bright Young Things were a group of 1920s aristocrats and artists who liked to party. Most had access to lots of disposable cash so they could spend their time frivolously, and they would often host parties in their stately homes around the countryside. Rank was important to the Bright Young Things, but not so important that they wouldn’t invite other people into their group. Ultimately though, the location had to be fabulous and the champagne had to be flowing. Flappers were the ultimate 1920s girl. After the War, women were feeling more liberated, keen to shake off the restrictive morals expected of them. Cue lots of drinking, ‘short skirts’ (short for the time, anyway), and boyish bobs. Everything about the flappers symbolises a rebellious good time. For the ultimate mood-booster, our glamorous flappers can be hired to kick off the dancing. If your guests are reluctant to try out the Charleston, these girls will inspire them to try out some steps. For the Bright Young Things, one of the most exciting features of a party was an extreme form of scavenger hunt. Historical biographer D.J. Taylor says young, drunk, upper class people would be sent to collect “things like the Prime Minister’s pipe, or a pair of corsets owned by a celebrated actress”. To recreate this (without encouraging your guests to drive drunkenly around the countryside), hide unusual items around your venue and create an elaborate story to go with it. In the real 20s, famous faces on the party scene would be used to reading about their own antics in the gossip pages. 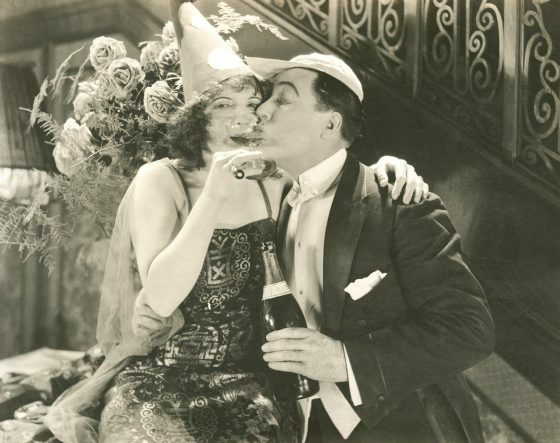 If you want to be known for hosting a truly 1920s bash, send a roundup of the night’s events to your guests. Whoever had the boldest costume, or was the most debauched, should get the most column inches. Jazz was the ultimate genre to set the mood in the 1920s, so your party should be no different. 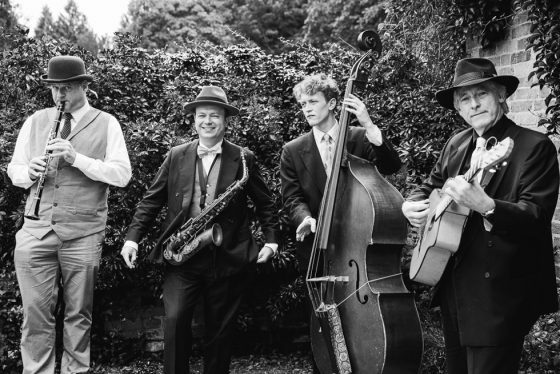 The Jazz Spivs perform all over the UK at prestigious venues, speakeasies, and Prohibition parties. Their period music will add some authentic glitz and glamour to your party. The Jazz Spivs play all the classics, from Everybody Loves My Baby to Cheek to Cheek. Hire a 1920s jazz band for your party. Contact The Jazz Spivs.